You would think that it’s a great time to be in telecom stocks. And it is, but even the best — and biggest — of the bunch are having trouble keeping up with all the change that’s going on. As mobility expanded, most of the big players just bought the smaller up and comers and started building towers, laying cable, whatever it took to maintain their dominance. But as this trend continues to expand, there are players in various markets that are finding consistent growth tough to come by and the mergers with big players never materialized. Or, these are big players that just have nowhere to go now. These seven high-yield telecom stocks to avoid may have tantalizing dividends, but that income doesn’t really matter if the stock isn’t moving in the right direction. Also, high dividends can also be a last-ditch effort to keep investors. But a bad quarter will likely put that dividend at risk, and once it’s cut, things get really ugly. Vodafone Group PLC (NASDAQ:VOD) used to be a mobile darling, back when Motorola was a dominant mobile phone maker. Now it’s in tough markets during tough times. A U.K.-based firm, it is struggling at home with Brexit issues and a ban on Huawei telecom equipment. The latter issue means it’s going to have to pull that equipment from its towers and replace it. As for its Africa, Middle East and Asia Pacific division, there’s more competition from local telecoms that can get by on less than VOD. Big countries like India also have a vested interest in developing their own technology companies rather than relying on outsiders. Finally, its attempted merger with Liberty Global (NASDAQ:LBTYA) has sent the company into the convertible bond market to fund it. Adding more to its debt at this point is a real risk. It’s likely why the stock is off nearly 50% in the past year. Sure the 9.8% dividend looks good, but it doesn’t save you from the capital losses. Turkcell Iletisim Hizmetleri AS (NYSE:TKC), or Turkcell, is a major mobile provider in Turkey. The stock has withered from around $10 a year ago, to the mid-$6s today. That means its 6.3% dividend isn’t going patch much of the leak in its asset pricing. Also bear in mind that after that significant price drop the dividend is only sitting at 6%. The risks here are fundamentally political and geographical. The political risk is an authoritarian government that doesn’t get along with most of its NATO allies and that has meant difficult trade deals and economic consistency. The Turkish lira has been extremely volatile and that isn’t likely to recede. Geographically, Turkey shares a border with Syria, Iraq and Iran. And across those borders are the Kurdish people that have been a thorn in the side of many Turkish leaders for decades. Yet the Kurds have been great allies of the West in the region. Again, more volatility and Turkcell is hemmed in. Maxar Technologies Inc (NYSE:MAXR) has a 19% dividend yield. Unfortunately, the stock just hit a new 52-week low today and it’s off more than 90% in the past year. That means you only lost 70% in the past year, if you include the dividend. The true definition of cold comfort. MAXR is all about space. It has a handful of divisions that focus on geospatial robotics, imagery and communications and analytics. Given the fact that there seems to be a rebirth in global interest in launching into space, it would seem like a company like MAXR would be doing well. But the problem is, most space programs are still being built by governments or private firms subsidized by governments. And in the U.S., where firms like SpaceX and Blue Origin are going at it alone, that isn’t enough business to keep a firm like MAXR growing. Check in again in about five years. Veon Ltd (NASDAQ:VEON) is a Dutch telecom firm that has operations in the Netherlands as well as throughout Europe, Asia and Africa. It’s the eleventh largest mobile network with 214 million subscribers. It delivers a 12% dividend yield and given the fact that it lost 12% in the past year, if you were a shareholder, you would be at about breakeven, which could be worse. However, there’s one number — actually, there’s more than one, to be honest — that really sticks out. Its debt-to-equity ratio is at 214%. It owes $2 for every $1 it has in equity. The global telecom industry average according to Gurufocus.com is 74%. Its overseas markets include Russia, Algeria, Ukraine, Pakistan and Bangladesh. These aren’t exactly growth markets now, or any time in the near future. What’s more, they’re all politically and economically unstable. Add to that the fact that Europe isn’t doing well economically right now, and you have enough reasons to steer clear of this one for now. Telefonica (NYSE:TEF) is a good sized international telecom and it has been around a very long time. Once the state-sponsored phone company of Spain, it has since expanded its territory across Europe and into South America. Given its size, it has a solid 5.4% dividend yield. The problem is, its South American operations tend to be wings or weights on its stock price. And at the current time, it’s the latter. TEF’s current debt-to-equity ratio is more than 300%, which is huge. The problem is, Brazil has been a basket case for years and Argentina is also struggling. And that doesn’t even include Venezuela. These issues weigh heavily on the parent as well as its regional subsidiaries. And those issues aren’t going away anytime soon, given the global economic slowdown. The slowdown is also hurting Europe, as is the Brexit mess. It’s not even worth bottom fishing right now. CenturyLink Inc (NYSE:CTL) is a U.S.-based telecom that provides residential and business services around the U.S. Its merger with Level3 also opened it up to enterprise services and global customers in over 60 countries. It generally provides a very high dividend — currently around 8% — but that usually comes at the price of the stock, which is off 32% in the past year. Most of CTL’s business is in the U.S., in areas outside of major cities, where it may well be the only game in town for exurban and rural customers. That gives it some monopolistic qualities but also means it has to spend on equipment where people want cutting edge service but the populations don’t help CTL recover the costs. That isn’t a win-win situation. It either provides lesser quality service to those areas, which in turn makes for dissatisfied customers that actively avoid expanding services with CTL, or spending money on quality service that may take years to recoup since the population isn’t dense enough to make a dent in the short term. Its debt-to-equity ratio is 180% and will likely remain much higher than average until it can figure out how to solve this fundamental problem. America Movil SAB de CV (NYSE:AMOV) is kind of the AT&T (NYSE:T) of Mexico. It provides mobile and fixed-line services in Mexico as well as pay television and equipment. And its base economy is doing well. It’s the rest of the business that is causing it trouble right now. With operations around South America, it is suffering in most of its major markets — Brazil, Argentina, Paraguay and Uruguay. Its Central American operations aren’t faring much better. El Salvador, Guatemala, Honduras and Nicaragua are also in bad economic shape at the moment. Its operations in Eastern Europe don’t really mean that much to the bottom line and its Caribbean operations, which rely on Puerto Rico and Dominican Republic, aren’t helping, especially all the repair work that needs to be done in PR. It’s no surprise AMOV’s debt-to-equity is a whopping 354% right now. And that’s a dangerous amount of debt to have when the global economy is slowing. 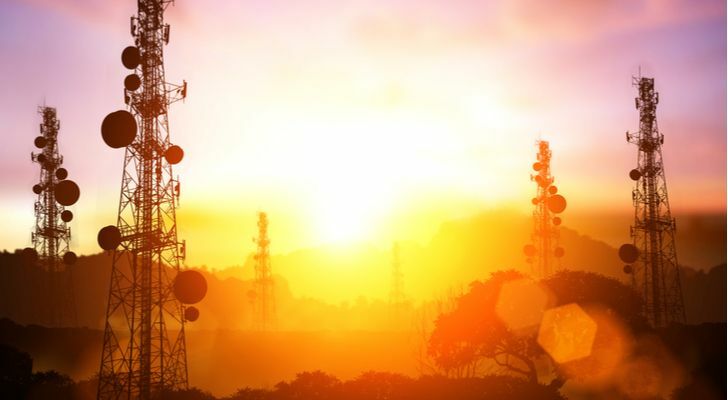 Article printed from InvestorPlace Media, https://investorplace.com/2019/03/high-yield-telecom-stocks-to-avoid-fgim/.